Send Plus - Save your data plan, send photos (email, text, Facebook, Twitter), track your data usage - compress your photos before sending and save money. Get more out of your data plan. 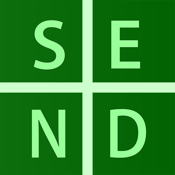 Use Send+ when you send photos in Messages and Email or when you post with Facebook, Twitter & more. 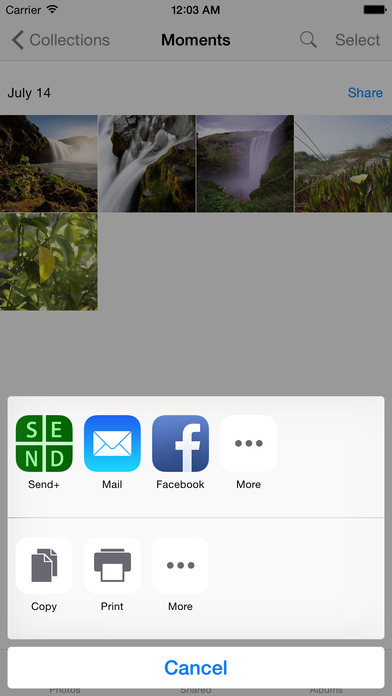 Send Plus lightly compresses your photos when you post or send them. Send Plus lets you post more, post faster, and save money. - Send Plus works on iOS7 and also includes an iOS8 built-in Sharing Extension to work with native iPhone and iPad apps. - Send Plus works inside Photos, Camera+, VSCO Cam and many other apps. - Send Plus can save you money by not using up your data plan. - Send Plus lets you post faster because you are sharing less data. - Send Plus never modifies your original photos. 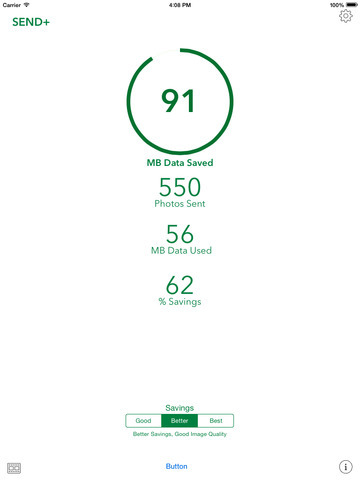 - Send Plus keeps track of how much data you've saved. - Send Plus is FREE to use and no signup or account is needed.